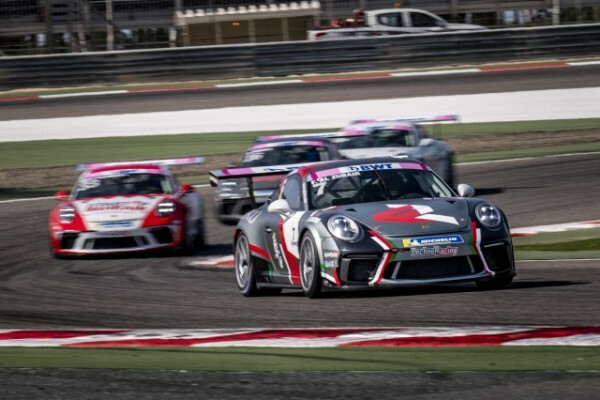 Reigning champion Al Faisal Al Zubair of Oman proved why he is the next big export from the Middle East into international motorsport today, by topping another podium in the Porsche BWT GT3 Cup Challenge Middle East Season 10. Qualifying in pole, Al Zubair conceded four positions in turn one to Isa A. Al Khalifa of Team Bahrain and Berkay Besler of Turkey due to a poor start. The young Omani remained composed in the first two laps to regain his lead back before clocking continuous quick laps. He pulled away and completed his race untroubled to the delight of fans and his family. Al Zubair stepped on to the top spot of the podium with second place local Isa A. Al Khalifa and de Quesada of the United States of America third. 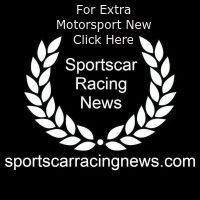 The race delivered the edge of your seat action now expected from the region’s longest racing motoring series. Behind Al Zubair, positions were not safe as one-on-one duals broke out across the track. Local Isa A. Al Khalifa of Team Bahrain, Besler Berkay of Turkey, American Michael de Quesada, Frenchman Jean-Baptiste Simmenauer, South African Saul Hack, Khalida Al Wahaibi of Oman and Leon Koehler of Germany all locked in a fierce battle throughout. Al Khalifa showed his knowledge of the track to take second, with de Quesada pushing for third. Hack’s persistence saw him finish fourth from a sixth-place start, leaving Simmenauer fifth and Berkay Besler in sixth. Al Wahaibi and Koehler both fell victim to the battle, dropping to the back at the grid early in the race, but Koehler fought back an incredible nine places to show he’s a newcomer to watch. Wahaibi tried to battle on but, having spent some time in the gravel, he ended his race in the pits. Round 2 continues at Bahrain International Circuit tomorrow with a further two races featuring 17 drivers from 13 countries. The Porsche BWT GT3 Cup Challenge Middle East is now in its landmark tenth season, making it the first and longest regional championship backed by a manufacturer in the Middle East. Proud to continue nurturing home-grown motorsport talent from the region, it gives drivers access to the latest Porsche 911 GT3 Cup race car, the same model used for international motorsport editions, such as the Porsche Carrera Cup and the Porsche Mobil 1 Supercup, the official F1 support race.